When it comes to lifting or leveling your ride, without sacrificing comfort - Readylift is the way to go. Want to accommodate bigger tires? 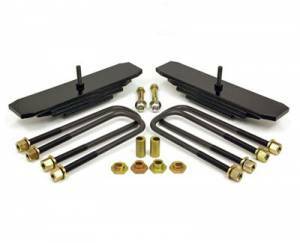 Would you like to level your suspension to compensate for heavy or long distance towing? Designed to maintain or recover the factory handling and ride characteristics, so you don’t have to worry about headlight height, steering geometry, or traction. Built tough: ReadyLift forged torsion bar keys and cast iron rear blocks will last for the life of the vehicle, guaranteed. Good News! 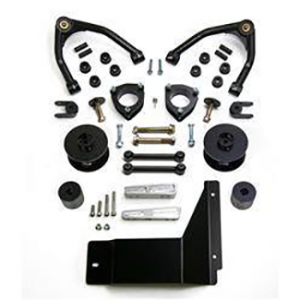 We carry a ready lift, easy-to-install, no cutting kit for your late model truck or SUV. 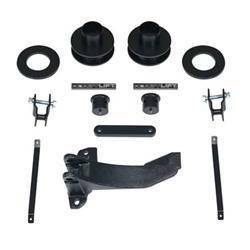 Ready Lift Leveling Kits are built by ReadyLIFT® Suspension Inc. which is the number one manufacturer of truck and SUV Suspension Leveling Kits and Lift Kits that are guaranteed to retain your factory ride. These easy to install leveling kits give you the clearance and ability to add wheels and tires up to 33 inches in diameter. 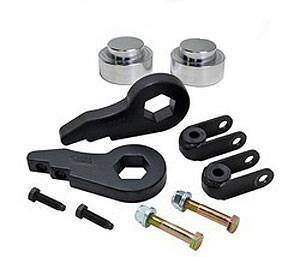 Strongly built by forging torsion keys from top quality materials, Ready Lift Leveling Kits do not compromise the factory OEM ride quality or comfort, rather they preserve and even add extra value. 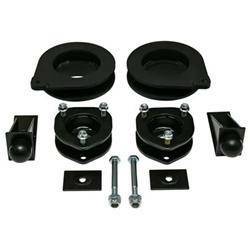 These leveling kits are priced fairly and also offer a lifetime warranty against defects on all of their products. ReadyLIFT® Suspension Inc. has built leveling kits, OEM Style Lift Blocks, SST® Lift Kits and more for Chevy, Ford, Dodge, Toyota, GMC, Jeep and Nissan. 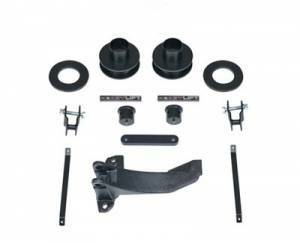 Don’t worry if you did not see what your looking for above, there are lift kits, leveling kits, and other suspension parts for available for several other vehicle applications. 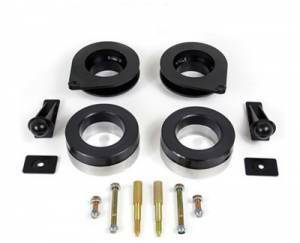 Kleinn Automotive Accessories now offers a complete line of lift and leveling kits for most two & four wheel drive trucks and SUVs. All Kleinn Off Road Level & Lift Kits are proudly made in the USA – right here in Tucson, Arizona. We strive for perfection and accept nothing but the finest materials to manufacture kits designed to outlive the vehicles they are installed on. Whether you’re looking for a taller stance or just to level your vehicle out to get rid of the factory “stinkbug” effect, Kleinn Lift Kits are engineered to work flawlessly -while preserving ride quality. All lifts carry a limited lifetime warranty against manufacturer defects to the original purchaser. Check Out Our Kleinn Suspension Products Here. Other parts are available that may share part numbers with other applications – please contact us for more information.